What are groundnuts, you may ask? Why, peanuts! This easy, hearty East African stew can be made with or without meat and provides a fiber punch and delicious, peanuty taste. I made it last winter with chicken but today didn’t have any meat so just added more veggies and it turned out quite well. NOTE: cooking times will be much shorter without meat, and chicken will cook faster than beef. Place onions, tomatoes, veggies, and meat in a Dutch oven. Sprinkle with salt (optional) and red pepper flakes. Heat over high and stir until meat loses color. Turn heat to low, cover pot, and allow to simmer for 15 minutes. Add boiling water, cover, and continue simmering 45-75 minutes, stirring occasionally. 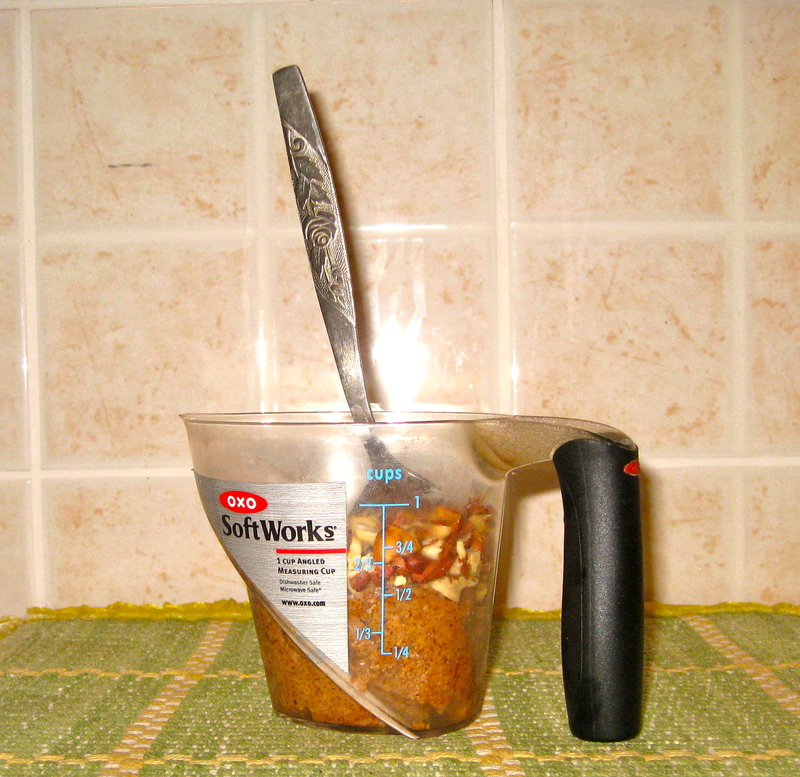 Place peanut butter and peanuts in a small, heatproof dish. Ladle 1/2 cup liquid out of the pot and mix into PB to soften. 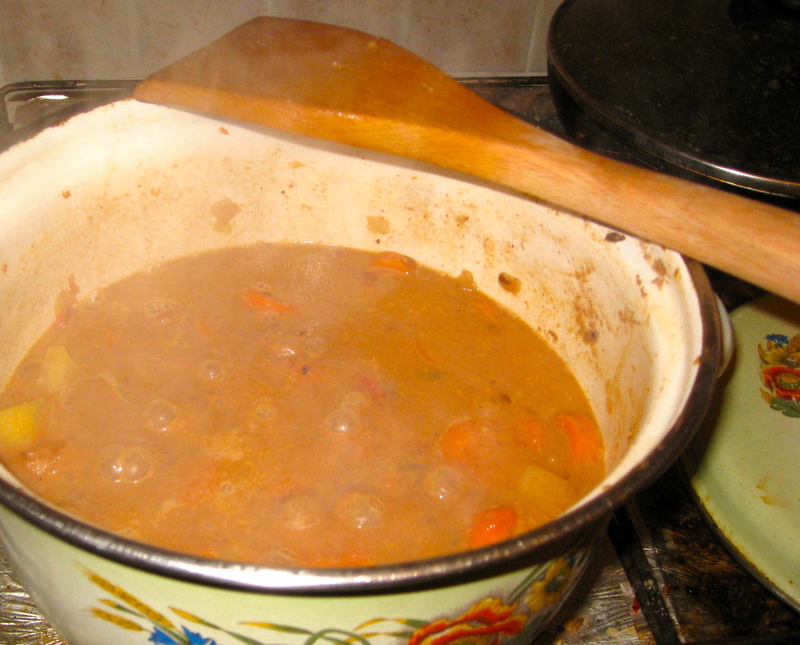 Add mixture to stew and blend it in well. Cover and simmer for 30 minutes more or until meat is very tender. Serve over rice, fufu, or ugali. This entry was posted in food, full meals, health, pictures, recipes and tagged stew on 13.11.2011 by taplatt.